Cranberry sauce and orange juice add a sweet glaze to savory Carolina Pride cocktail smokies, making this a great party appetizer. 1. In a crockpot, put Smokies in and pour orange juice and water over. Cover and warm on medium heat. Stir occasionally. 2. For dipping sauce, put all ingredients in a blender or food processor and puree until smooth. 3. 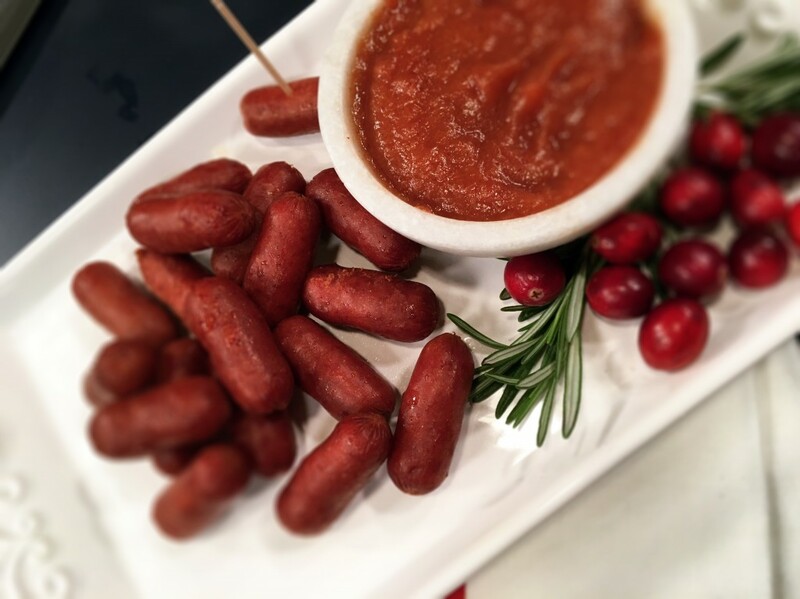 Serve dipping sauce along side warm Smokies.